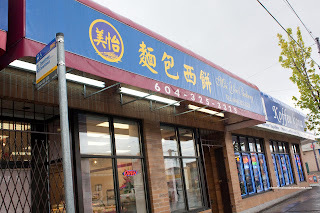 For the longest time, there was not exactly a huge selection of Chinese bakeries in town. We were at the mercy of Maxim's and a few other ones located in Chinatown. Now, we can choose from Pine House, The Boss (affiliated with Maxim's), St. Germain, T & T and many other independent establishments. So, for me at least, I much prefer these smaller shops. I find they are a better value since they don't skimp on the ingredients. One of my favourites is Karmony Bakery on Victoria Drive. I've been here countless times already. However, it was time for me to try something new. In fact, the place I did end up visiting is only up th e street from Karmony. 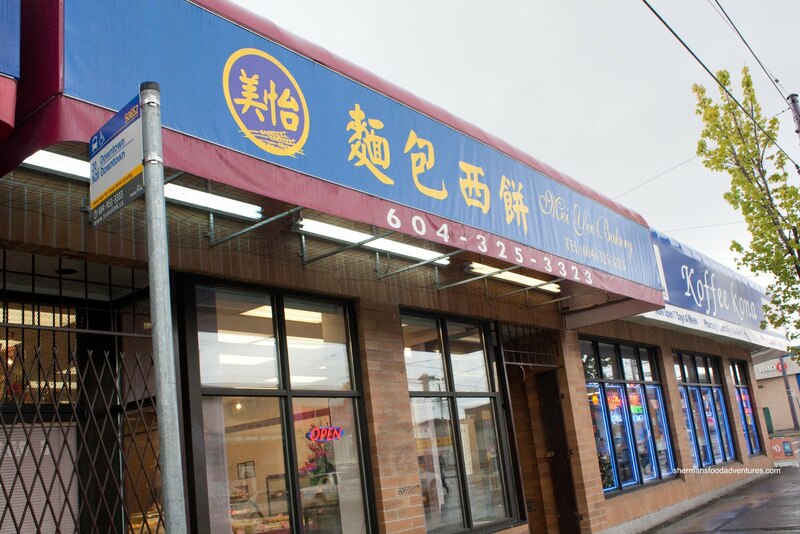 Across from London Drugs and Maxim's, Mei Yee Bakery is not really all that small. When I walked into the place, it was quite spacious with an impressive selection of goods. In fact, rarely seen items such as large baked tapioca pudding with red bean paste was available. I was tempted to pick one up; but there was no way we'd finish it. And besides, my son would just pick off the sweet topping and leave the rest alone. On the topic of sweet topping, he actually eats the whole Pineapple Bun now. Yah, he used to pick off the topping and leave the plain bun for either myself or grandpa to eat. Talk about enabling... Anyways, my son dusted off the bun and it was pretty good. I think the pastry dough is not as good as Karmony; but absolutely better than Maxim's. I find the buns at Maxim's dry and lacking in substance. And hey, I love substantial buns! Er... So naturally, the BBQ Pork Bun was better than average as well. 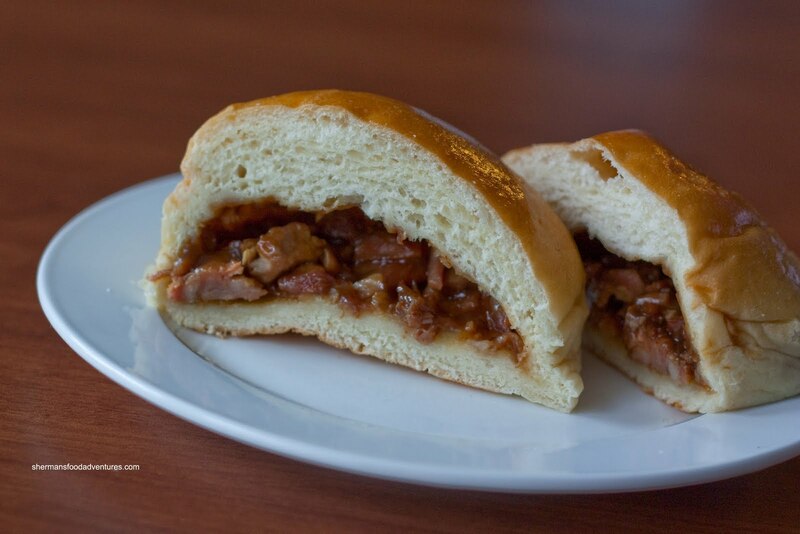 I particularly liked that there was a good amount of BBQ pork inside. It was not fatty and the glaze was a good combination of savoury and sweet. 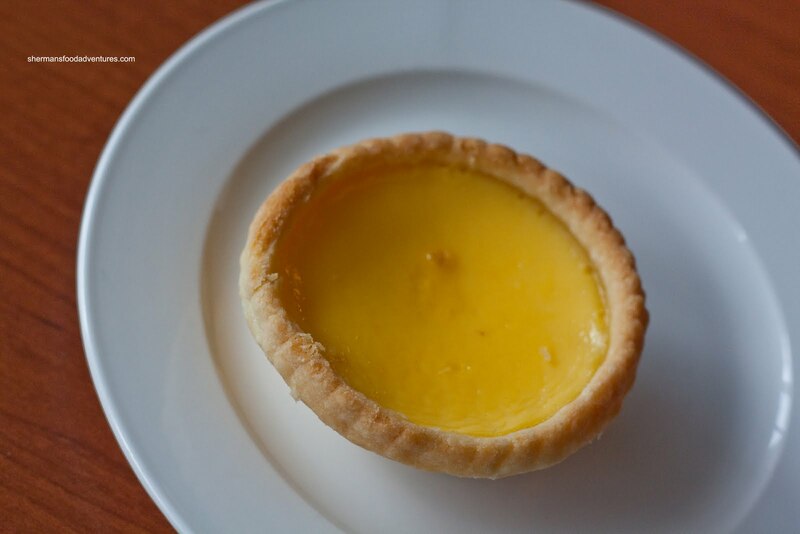 Egg Tarts are a must when visiting a Chinese bakery. It is a good indicator of competency. This one was not bad. I would've liked the shell to be flakier; but it was not hard by any means. I found the filling to be on the sweeter side while being silky. I actually ended up with more than 16 items; but many were of the "pineapple bun-type", so I'm not going to talk about them. 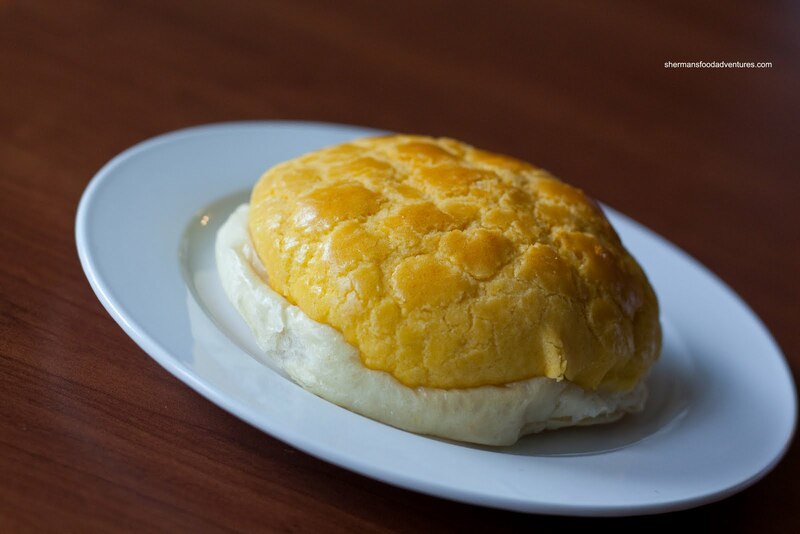 However, if I take everything into account, I would say that Mei Yee is a solid place for Chinese bakery items. Much better than Maxim's while a shade below Karmony. - I guess lack of parking in the area? You have to try the red bean patties next time... In Chinese it would be dow sah seew beng, not sure what we would call it in English. I can also vouch for the tapioca pudding being pretty decent for the crazy low price. I think it's only five bucks. @SixBalloons Thanks for the tip! They did look good!